Most commercial banks have not listed on the stock market within 12 months after equitization as per regulations. They have just promised or even had no listing plans, failing the target that all banks must list on the stock market from January 1, 2017. Circular 180 by the Ministry of Finance stipulates that equitized banks must complete listing on UPCoM bourse by the end of 2016 at the latest. So far, only some banks have been on schedule. That aims to ensure information transparency. Specifically, 10 out of 35 commercial banks have officially traded on bourses. Only few of the remaining ones have listed their shares on UPCoM. That why listing roadmap was one of matters most queried at banks’ shareholders meetings. 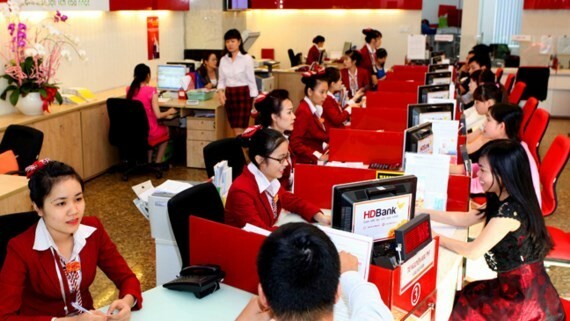 At the meeting of Kienlong Bank, chairman of the board of directors Vo Quoc Thang said that Vietnam Securities Depository (VSD) has granted the bank with listing registration certificate and stock code. The bank is expected to trade on UPCoM in the second quarter. Replying to Techcombank’s slow listing query last year, Mr. Ho Hung Anh, chairman of the board of directors said that documents had been sent to the State Bank of Vietnam and the State Securities Commission. Once being approved, the bank will immediately list its shares on the stock market. TPBank and ABBank have set their target to complete their listings on UPCoM this year. Other banks said that they would consider the best listing time to raise their stocks’ liquidity. HDBank leaders said that the bank had been qualified for the listing on HCMC Stock Exchange (Hose) but still considered a suitable time to get successes and rightly show the bank’s value. Meantime, NamA Bank leaders said that they drew listing policy last year but the market had not been advantageous and not really interested in the bank’s shares. Share listing then would be difficult to bring value increase for shareholders so the bank had yet to conduct the listing as originally scheduled. According to experts, it is understandable for banks to choose suitable times for the listing so that their stock prices will not be lower than listed prices. Still that has raised obstacles for the listing plan.